As a medical provider, patient engagement is your goal. We recognize this is a broad term, so simply defined patient engagement is when the provider and patient work in collaboration to improve the patient’s health. And why is this so important? Research continues to show that the greater the patient’s engagement in healthcare, the better the outcomes and the lower the cost. 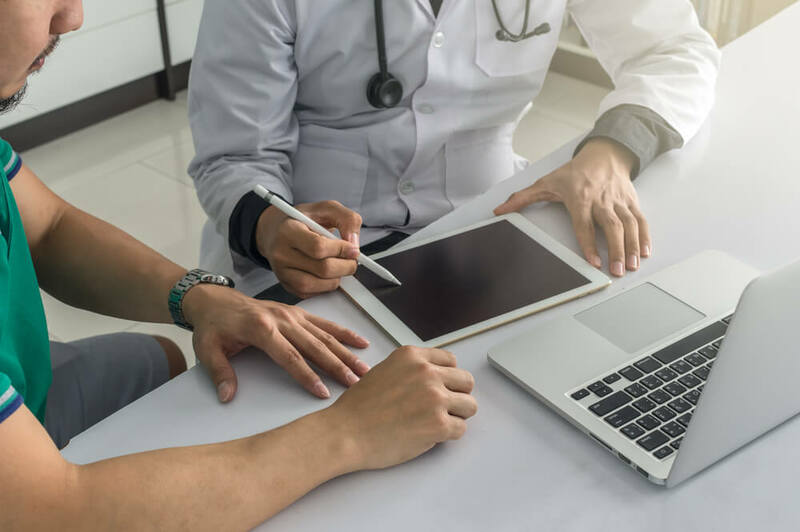 This is why many healthcare organizations are now implementing strategies to better connect with their patients, offer educational resources and do a better job of keeping their patients fully informed when it comes to their care. Are you wondering how your medical website can help drive patient engagement? Great question! Let’s dive in. Include one to two open-ended questions. Currently, what’s your biggest challenge when it comes to your health? What are your top questions when it comes to your health and well-being? Is there a product, service or tool that could provide a solution for your healthcare needs? The portal should be easy to locate on your main website. The use of short videos that is both informative and visually appealing. So here’s the deal: 80% of people own a smartphone, and 47% of people own a tablet. This matters because people are using these devices to search the Internet. Have you ever come across a website that wasn’t optimized for mobile when using a digital device? If you have, chances are you abandoned that website in search of one that was more user-friendly. If your medical website isn’t optimized for mobile, you will inevitably lose patients. This is why optimizing for mobile is no longer optional. Not sure if your site is mobile friendly? This Google Tool will help. A FAQ section with a search function so patients can easily locate the information they’re looking for. Your website not only has the power to drive patient engagement, but ultimately help you build your practice by delivering exceptional online service. Talk about a win-win! If you’re not sure where to start, or still have questions, let’s chat. One of our experts is always available, and your first evaluation is free.